At some point when you’re studying, you’re bound to run into some group work. Yes, this mean being able to work with others. Sometimes, it’s hard enough communicating with your peers but having the right tools when dealing with group work can help a great deal. In today’s digital age, online communication has become second nature to most of us and this means online group work also comes very naturally. Whether you meet with your group in the classroom, or communicate digitally, we’ve gathered here 5 amazing tools that can aid you in your group studies. With features like Flashcards and even a Study Planner, you can not only use this in group work but also in your daily studies as well. 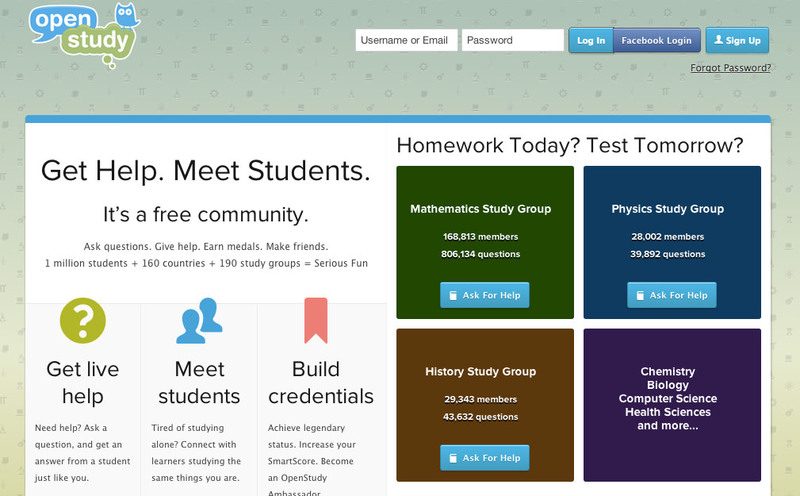 OpenStudy is a free community of groups created by students from all around the globe. OpenStudy allows members to get live help for homework assignments or class tests from other members who are studying the same thing. By answering questions other members may have, one is able to earn credentials, which can lead to them becoming an OpenStudy Ambassador. Any member of the site can create a group related to a particular topic or subject and invite others who are studying the same thing to join it. 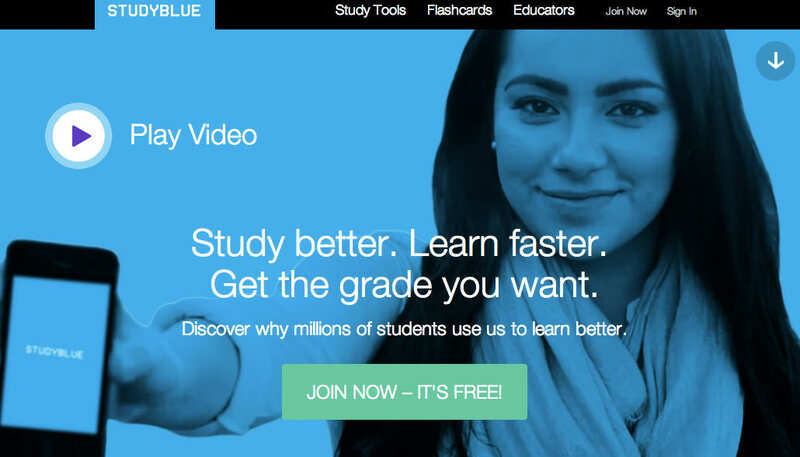 StudyBlue is a free service for students to learn collaboratively. It is a flashcard based service. 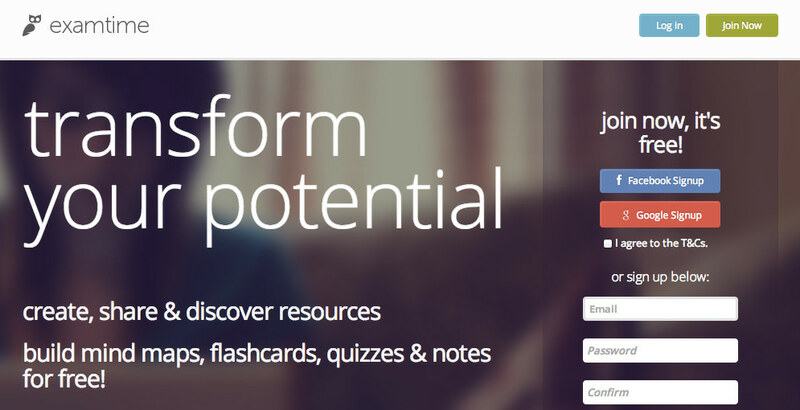 It allows students to create and share their own flashcards related to a subject or topic. One of the features of the service under the tab ‘Study Tools’ is the ability to create and customize their own flashcards using either text, audio or images. These come with different study modes and students can even complete self-assessments through quizzes. They can also review work sheets and flashcards and even create study guides by including flash cards for a particular subject, which will be updated automatically when new flashcards are added. ThinkBinder is another helpful tool for students working in groups. Students can start their own study groups for free. ThinkBinder provides a focused and simple set of tools that allows the students to work more efficiently. When you sign up for a free account, you get to participate in group dicussions, which means being able to ask the group questions as well as other features like being able to upload videos, among other things. You can also engage in live chat and even work on a problem together using the Whiteboard feature on ThinkBinder. If you’re worried about coordination, you can organize your files and group calendar here too. ExamTime provides a learning environment that allows students and teachers to create, construct, share and discover the learning resources. It helps in the creation of study groups for sharing, collaborating and discussing ideas with other students studying the same thing. Other notable features of ExamTime are creating Mind Maps and Flashcards, making your own notes and taking quizzes to evaluate yourself. Another unique and helpful feature ExamTime has is it allows you to create your own study plan using their Study Planner. The Study Planner can help students keep their proper pace while they’re studying and also helps to boost their motivation. 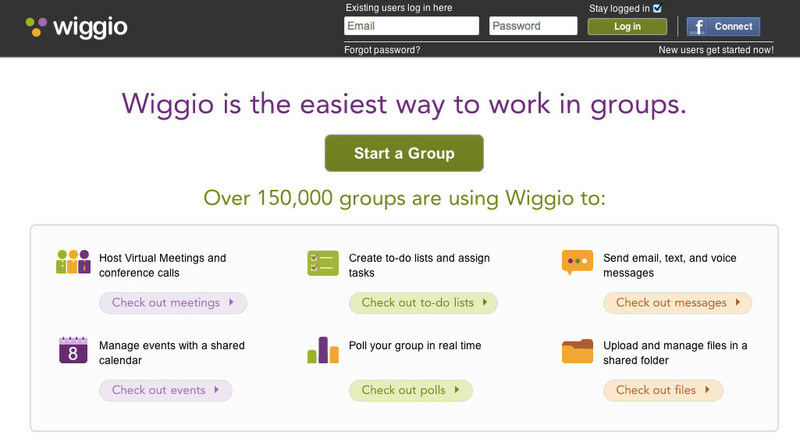 Wiggio is one of the easiest online web tools for working in groups. At the time of writing, Wiggio is being used by approximately 100,000 groups and boasts around 1.1 million users of Wiggio from around the world. These groups range from Academic Groups and Social Groups to Non-Profit and Charitable Organizations. The features offered by Wiggio include mass messaging (emails, voice mails, text messages), file sharing, scheduling, editing, conference calling, polling, project management and video conferencing. Wiggio is really useful for groups of students who are working on a semester project.